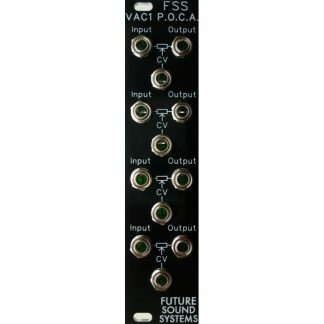 This filter started life as the SVF design (based on the J. Haible discrete 2040 gain cell) which Scott Stites posted over at electro-music in April. 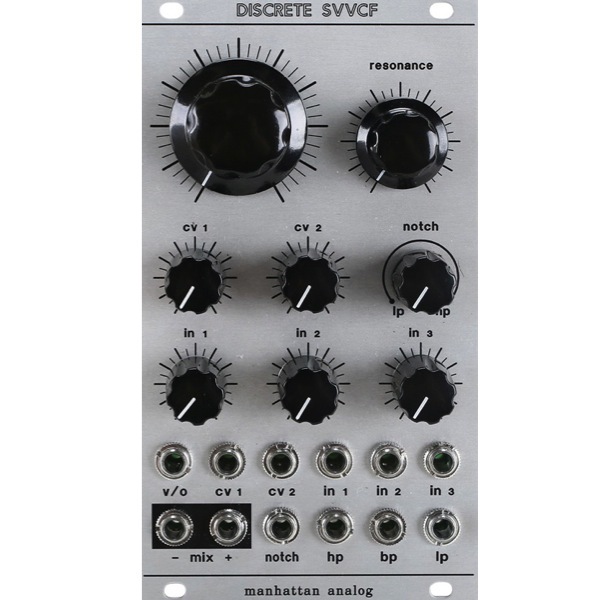 It is a State-Variable design, with manual control over the balance of the Notch Output. Jason from Manhattan Analog had been wanting to work with another filter for a while and this one looked interesting, so he started experimenting with it. 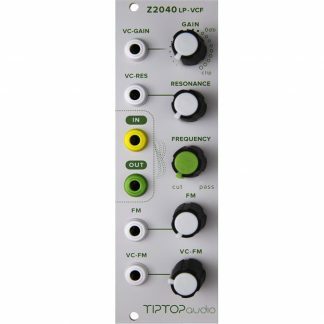 He lopped off the audio input section and grafted on the CP3 mixer (based on a vintage Moog mixer design). This combination of features makes the filter very unique and capable of many different timbres, depending on how hard you drive the inputs. Some of the original signal will always be heard blended in via the Highpass and Bandpass outputs. This is completely normal, and part of the design. This filter is less about predictable laboratory precision, and more about providing bags of character, with a wide range of luscious beefy tones! 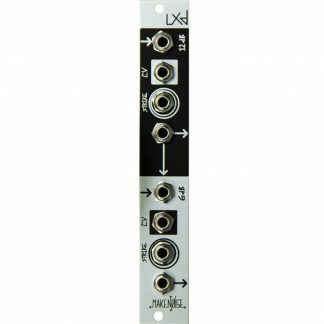 The CP3 Mixer can be used independently of the filter, meaning that you are essentially getting two modules in one (a direct output from the mixer is provided, in normal and inverted forms).